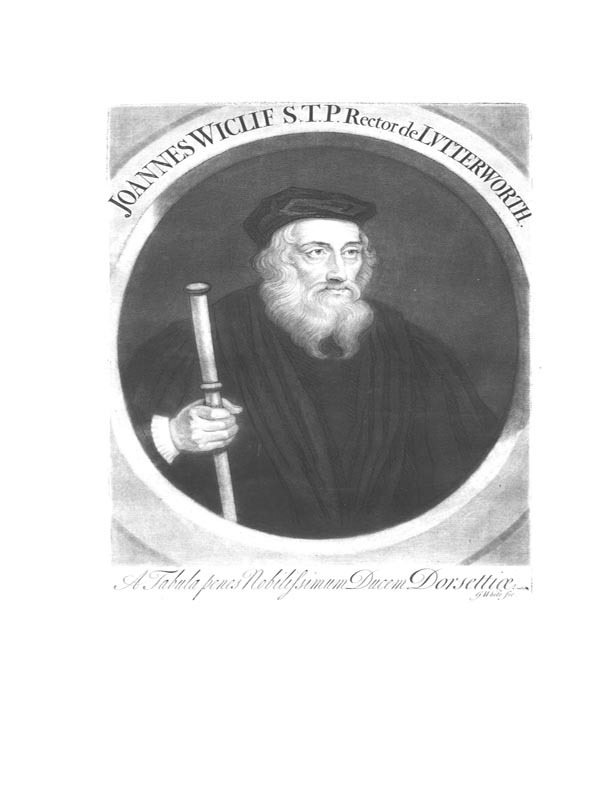 The very first translation of the scriptures into the English Language was done in the 1380's by John Wycliffe, who is called "The Morning Star of the Reformation". Because he lived nearly a century before the 1455 invention of the printing press, his New Testaments and Bibles were of course, hand-written manuscripts. Wycliffe is also credited with being the inventor of bifocal eyeglasses (necessity being the mother of invention), though history tends to more frequently credit Ben Franklin with improving upon Wycliffe's invention of bifocals. Most importantly; this 1731 publication of Wycliffe's circa 1378 translation of the scripture in English is the first printed edition of the first English translation of God's Word! 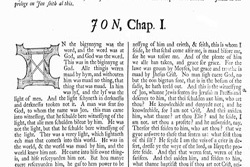 It is an extremely important milestone in printing history, and Biblical history. Only 160 copies of this book were printed in 1731, and fewer than 10 of them are known to exist today. They are valued at close to $100,000 each. 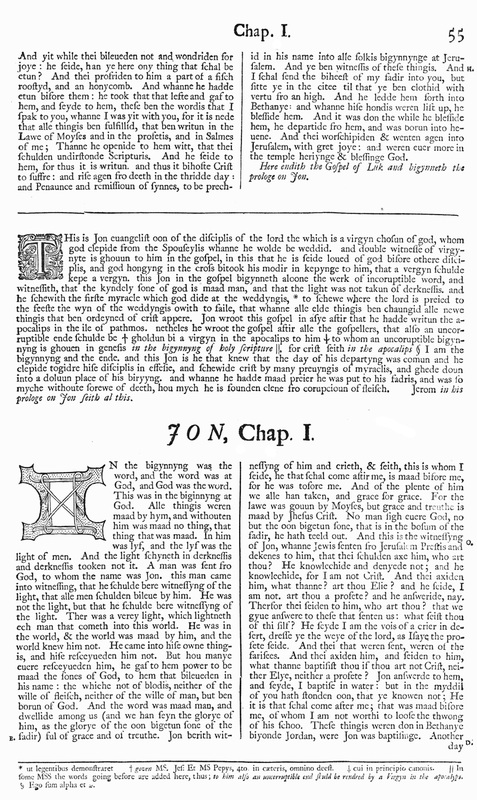 You can own a beautiful copy of the first printed edition of the first English translation of the scriptures for a tiny fraction of that cost. This facsimile reproduction measures approximately 12 inches tall & 8 inches wide by just under 1 inch thick, and is bound in hardcover burgundy-brown bonded leather with gold stamping along the spine.